Mike Kesler knows he was part of special in his college football days. Last week, his old college days showed him he was pretty special. Kesler, the head coach for the Battle Ground Tigers, was one of the honorary captains for the Oregon Ducks at the season opener at Autzen Stadium. 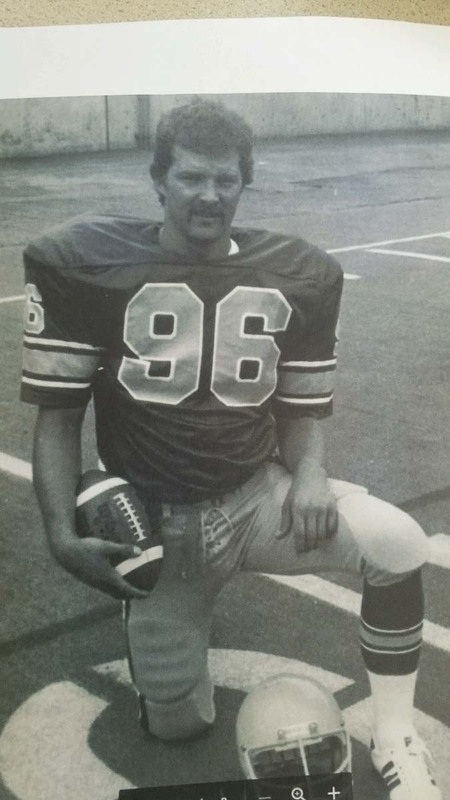 A defensive lineman, Kesler played for the Ducks in 1978 and 1979 after two years in junior college. He was there for the second and third seasons of the Rich Brooks era. “It was a building situation,” Kesler recalled. That first season, the Ducks won two games but were in position to win in seven of their nine losses. The next season was a winning season, the first for Oregon since 1970. “That was the start of the improvement as they got better every year,” Kesler said. Last week, the Ducks honored Kesler. As he was on the sidelines, he heard people screaming his name. There were other former teammates, now ticket holders, trying to get his attention to say hello. “The biggest thing is I had the opportunity to spend the time with my boys,” Kesler said. 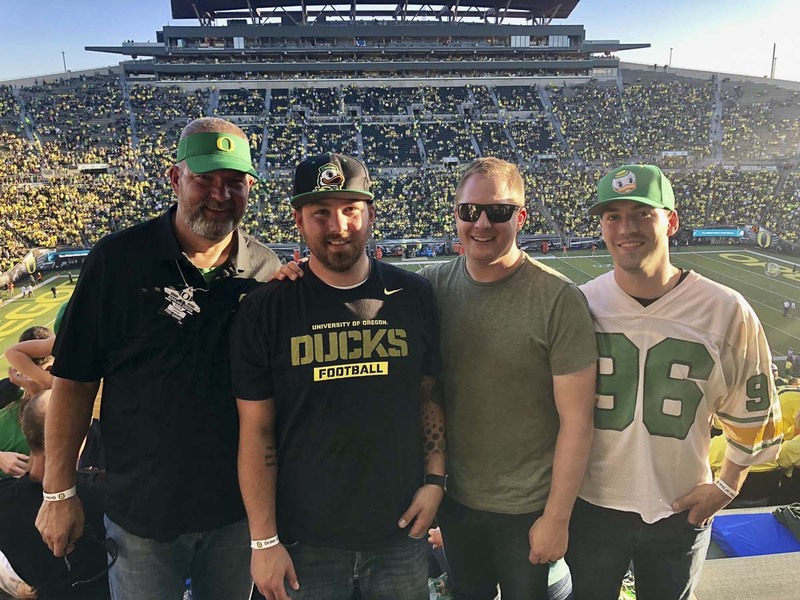 His three grown sons, Ryan, Brandon, and Shane, never saw their dad play for the Ducks. Saturday, though, they saw him on the field. Kesler would go on to spend 25 years with the Washington State Patrol. For the past four years, he has been head of security at Battle Ground. 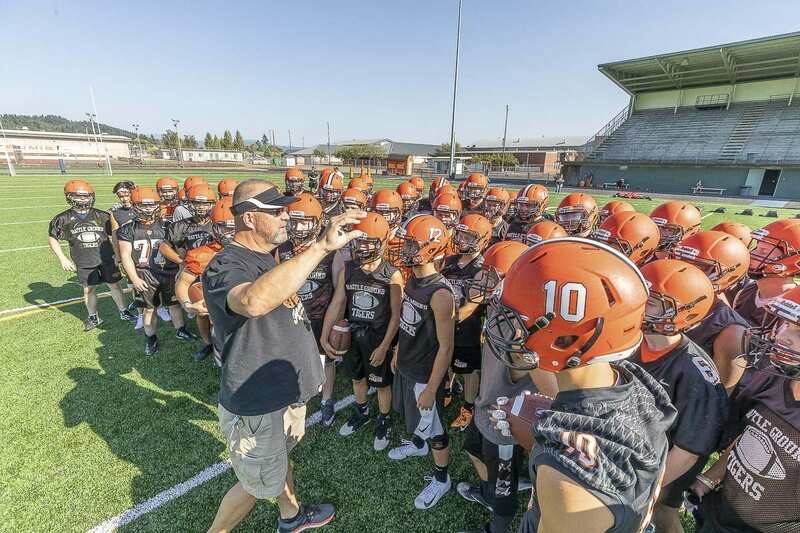 He also has coached high school football for 26 years, as an assistant at Evergreen and Union, and now the head coach at Battle Ground.